With 50+ years of combined experience in the local real estate market, you'll find the gentlemen of ASK Palm Springs a formidable team to have working for you. From Palm Springs to Indian Wells, Andy, Sven, and Kevin have listed and sold as well as represented buyers all over the Coachella Valley. Their expertise of the local markets and the diverse communities of the Desert Resort Cities is an exceptional value to their clients. This past year, ASK Palm Springs was in the top 10 of Palm Springs real estate agents in sales volume and ranked #5 in average sales price. At every level of home buying, from condominiums to luxury estates of noted historical significance, ASK Palm Springs has the extensive knowledge, wide network of clients and investors, and a contemporary, multi-platform marketing plan to make your real estate goals a reality. ASK's affiliation with HK Lane, the local affiliate for Christie's International helps ensure the properties ASK represents receive international exposure to the world's luxury homebuyers. So whether you are looking at buying a weekend getaway retreat or the perfect midcentury house to call your full-time home, just ASK! As a full-time Desert resident since 1989 licensed since 1993, Andy has developed a specialty in architectural properties. He has represented clients in the sale & acquisition of fine homes by renowned architects John Lautner, William F. Cody, E. Stewart Williams, Albert Frey, Donald Wexler, Harold Levitt & Edward H. Fickett to name just a few. Andy has always valued balancing his professional work with service to the community and served for 14 years (1990-2004) on the Board of Desert AIDS Project (4 as its President, 1998-2002). He has served on the Board of Directors of the Human Rights Campaign (HRC) in Washington, D.C. since 2002. The recipient of several awards & presentations for his community service, Andy is proud to have been able to make Palm Springs his home and Real Estate his career. 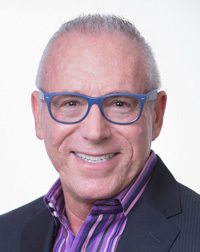 Andy has always valued balancing his professional work with service to the community and served for 14 years on the Board of Desert AIDS Project, including 4 years as its President. He has served on the Board of Directors of the Human Rights Campaign in Washington, D.C. since 2002. The recipient of several awards for his community service, Andy is proud to have been able to make Palm Springs his home and Real Estate his career. Contact Andy at ASK@ASKPalmSprings.com or by phone at (760) 333-2228. Licensed in 1993, Sven has built a reputation for personal service, advanced marketing strategies, and record-breaking sales throughout his career. His mindful approach has become his trademark in the Real Estate industry. An enthusiastic top producer, Sven has successfully marketed and sold many architecturally significant and historically recognized properties, including Frank Sinatra's Twin Palm Estates (which he represented in 3 transactions with both sellers and buyers) designed by E. Stewart Williams as well as the Zanuck Estate and other larger luxury estates in the Movie Colony and Old Las Palmas neighborhoods of Palm Springs. Sven has represented a full range of clients, from first-time buyers to high-end clientele. He offers the highest quality service to his clients. A longtime resident of Palm Springs, Sven has a personal knowledge of many of the communities and cities throughout the Coachella Valley. A dog lover and active member of his community, Sven has volunteered his time and generously donated to numerous local non-profit organizations. Contact Sven at ASK@ASKPalmSprings.com or by phone at (760) 333-7836. A Los Angeles native, Kevin has called Rancho Mirage home since 1992. In his first years of working in residential real estate, Kevin has handled numerous transactions for his extensive network of buyers and investors, including being the lead on the sale of the E. Stewart William's historic Kenaston House in Rancho Mirage. 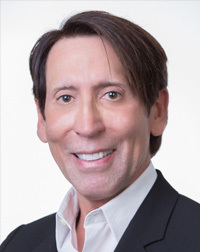 Kevin has also been instrumental in the successful marketing and sale of other million-dollar luxury homes in Indian Wells and the Andreas Hills neighborhood of Palm Springs. Kevin's deep roots in the Coachella Valley has found him actively serving on the Board of Directors of Gay Associated Youth, Human Rights Campaign and the Desert AIDS Project attests to Kevin's passion to make the community a better place for all. 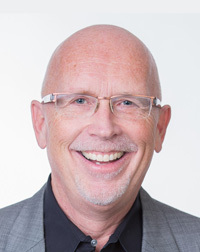 A successful business leader and community activist, Kevin Bass has the experience, personality and knowledge of the Palm Springs area to assist you with all your Real Estate needs. Contact Kevin at ASK@ASKPalmSprings.com or by phone at (760) 831-7303.